Even after five years of court hearings and monitoring, the office has yet to emerge from federal oversight — and county taxpayers are paying a price. The county covers bills for both the Shakman attorneys and the court monitor, ongoing costs that now total more than $3 million, according to bills approved by a federal judge and county records. The examination of Berrios’ struggle with Shakman compliance comes as the basic competence of his assessment operation has been challenged. The investigative series “The Tax Divide,” which launched in the Tribune in June, found deep flaws in property assessments under Berrios during many of the same years the office ran afoul of the Shakman agreement. 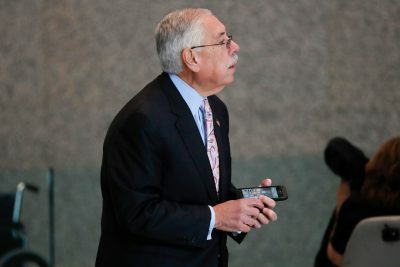 The series, based on an analysis of millions of property tax records, found that residential assessments in Cook County were inaccurate and unfair during Berrios’ tenure, punishing poorer residents and handing breaks to wealthier ones. 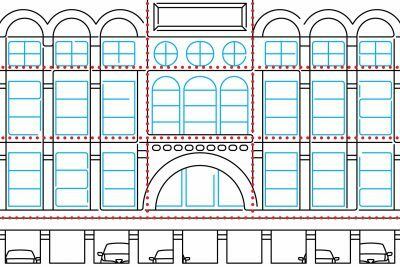 A December installment, co-published with ProPublica Illinois, exposed inequities and inaccuracies in Berrios’ commercial and industrial assessments during the years 2011 through 2015, with downtown skyscrapers landing massive breaks while small businesses got hit with unfair property tax bills. The person now in charge of those valuations is Berrios’ daughter Vanessa, who was promoted into the job in 2016 — a move that the federal monitor said “flagrantly violated” employment guidelines. Cynthia Canary, a good-government consultant, sees a connection between the way the assessor’s office operates under Berrios and the questions swirling around one of his most fundamental tasks: issuing accurate property assessments. “If you’ve got an office that practices patronage and disregards rules, I don’t think we should be surprised that the outcomes we get, in terms of assessments, are shoddy,” said Canary, who formerly ran the Illinois Campaign for Political Reform and headed an ethics task force for Mayor Rahm Emanuel. 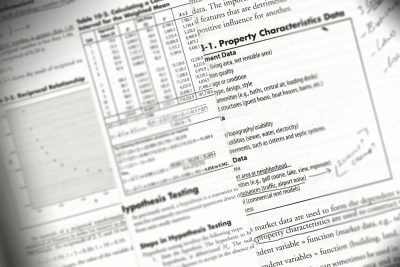 One monitor report, filed in late 2014, found that a department in the assessor’s office that gathers data to calculate property values was “impacted by political patronage.” That report also found that some workers who handle technical reviews — a final step in assessments where information can be corrected or added — felt underused, saying they were getting cut out of decisions they had made before Berrios took office. “The staff does not feel utilized despite having the working knowledge and skills to get the job done,” the monitor wrote. Hired by Berrios to serve as his director of compliance, Deborah Ellis pushed hard for new policies at the assessor’s office. But in 2014, about 15 months into her job, Berrios fired her. In an interview, Berrios declined to discuss Ellis’ dismissal and said he’s making progress in bringing his office up to speed with what Shakman and the federal court monitors demand, despite a shrinking payroll. “Believe me, I want them out of here,” he said of the monitors. 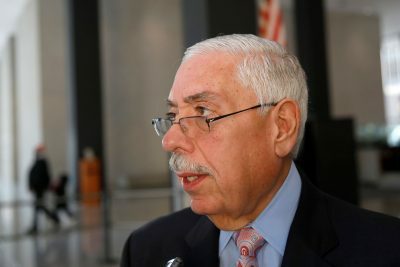 Berrios also defended his practice of carrying relatives on his public payroll and the hiring of political allies from the Cook County Board of Review, where he had served as tax appeals commissioner for two decades. He said the hires — who included his son and a sister — arrived with deep and valuable experience from years of working in the property tax system. This year Berrios hired a former assistant state’s attorney to help meet the anti-patronage standards. Berrios also noted that he has finished assessments on time six years in a row, helping local governments save “millions and millions” on borrowing costs. 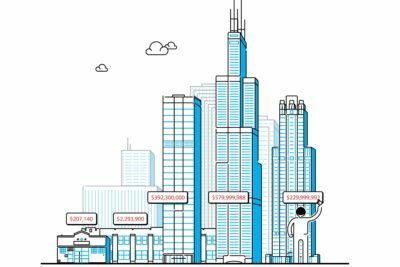 Yet a Tribune-ProPublica Illinois analysis of tens of thousands of commercial and industrial parcels found numerous values that remained identical from one reassessment period to the next, three years later. Experts said that would be virtually impossible had the assessor’s office actually done the work of valuing the property. Michael Shakman, the attorney who brought the original case against local governments over unfair hiring and personnel practices, said the assessor’s office has moved too slowly and is far from reformed. Political favoritism and inconsistency in hiring, promotions and other employment decisions can create a “negative impact, both on the morale of the people in the office who are trying to do the work the right way and on the quality of the work that gets done,” Shakman said in an interview. Not much time ticked off the clock between Berrios taking the oath of office for his first term and the assessor’s new team calling veteran workers into private meetings to let them go. The sweep ultimately caused county taxpayers to pay $529,000 in compensation to 11 workers fired in acts of “unlawful political discrimination.” The federal court monitor later described the moves as evidence that the assessor wanted to “make room” for the people he wanted to hire. Johnson, who received $95,000 in compensation, said in an interview that he outlined for the monitor his three decades of work in the assessor’s office and his role managing how property parcels got shaped. Johnson also took issue with the person who would later get his job: Michael LaCalamita, whose mother, Victoria, became Berrios’ human resources chief. “They were big buddies and all this,” Johnson said. Both LaCalamitas came with Berrios from the Board of Review. Michael LaCalamita no longer works at the assessor’s office; his mother now holds a top financial position. The monitor’s decision to compensate the workers still irks Berrios, who says he believed he acted properly when he fired them. Patronage has been an issue in the assessor’s office for decades, and prior assessors have operated under various Shakman orders since 1972. But Berrios’ early actions as assessor prompted Shakman to push for an additional step: installing a federal monitor who would track the assessor’s progress in achieving various anti-patronage benchmarks. Federal monitors helped both Chicago Mayor Rahm Emanuel and Cook County Sheriff Tom Dart resolve Shakman cases. Emanuel inherited a federal monitor in the mayor’s office, and Dart embraced the idea of installing a monitor when he became sheriff. After lengthy discussions, Shakman and Berrios reached a federal court agreement in September 2012 that set a path forward. The assessor agreed to create more transparent procedures with the goal of rooting out patronage in hiring and staffing decisions as well as hiring an internal compliance director. The compliance director, an employee of the assessor’s office, was supposed to ensure that it adheres to all employment policies and procedures, including Shakman prohibitions against political hiring. Meanwhile, the federal court monitor would review the claims of workers fired unfairly, detail developments and help push for progress until the office was found to be in compliance. It didn’t take long before the new monitor, retired Cook County Judge Clifford Meacham, delivered a sobering analysis. In a report filed in January 2013, Meacham said the assessor’s office had a “widespread disregard for written policies and procedures,” from skirting competitive hiring rules to skipping performance evaluations. Meacham emphasized that even smaller favors should stop. 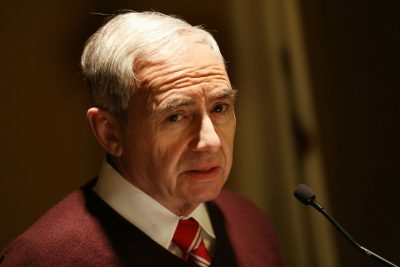 He highlighted how a special group of 19 transplants from the review board known in the assessor’s office as the “Berrios people” got to come and go at work without having to swipe their office cards and didn’t have to give advance notice for vacations. Giving breaks to one “politically connected” group over others frustrates the purpose of the Shakman agreement, Meacham wrote. That agreement does not directly address nepotism, but Berrios’ decision to put his sister, Carmen, and his son, Joseph, on the payroll drew the attention of the County Board of Ethics, which sought to fine Berrios $10,000 in 2012. A judge ruled in 2015 that the assessor had to comply with the county’s ethics ordinance and the ethics board had the authority to investigate the assessor. But the ruling also said the ordinance did not authorize the board to impose fines. County taxpayers wound up paying a total of about $300,000 to cover both sides of the legal battle, records show, and county commissioners passed a new ordinance giving the board the power to levy fines in the future. Berrios’ son no longer works at the assessor’s office. His sister now is deputy assessor over taxpayer services and public outreach. As Berrios headed into his second term in late 2014 — after running unopposed in the primary and general elections — Meacham issued a report that made it clear the assessor still had many issues to overcome. But Meacham also described Ellis as “frustrated” with arbitrary personnel actions and “hampered” by the assessor’s office in trying to investigate potential irregularities in hiring, promotions and discipline. “She advocated for written policies and procedures and a transparent and fair process for all employees, to no avail,” he wrote. The next month, in October, Berrios fired Ellis. A new internal compliance director did not come aboard until February 2016 — more than a year later. In the same report, Meacham demanded that the assessor’s office hire “a professional” as head of human resources. Establishing professional human resources departments had been a “key driver” for Emanuel and Dart in meeting Shakman standards, Meacham noted. But under Berrios, Meacham wrote: “There were no written policies and procedures for the employees to reference or for the office to follow. The contents of the personnel files were not standardized. There was no discernible disciplinary policy, overtime policy, promotion policy or hiring protocol that had been consistently utilized. Meacham also criticized an “opaque process” in employment decisions that appeared to include only Victoria LaCalamita and the assessor. Records show Meacham viewed it as “impossible” for the assessor’s office to comply with Shakman standards as long as LaCalamita ran the human resources operation. Ellis raised similar issues as Berrios’ director of compliance. In a September 2014 review of the assessor’s office, she wrote that LaCalamita was “inconsistent and unpredictable” in responding to inquiries and often challenged Ellis’ authority. Berrios moved LaCalamita from human resources the following month — around the same time he fired Ellis. “As always, actions are telling,” Meacham wrote. In his last report, filed in August 2015, Meacham described the assessor’s progress toward compliance as slow but steady. “Much remains to be done,” he wrote. Attorney Susan Feibus took over monitoring duties in February 2016 after Meacham voluntarily resigned. She also trained her attention on Berrios’ promotion of his daughter Vanessa to the high-level job of director of industrial and commercial valuations in April 2016 — a move that came with a significant boost in salary. Vanessa Berrios’ annual pay was $80,373 in 2015 while she worked as a manager of industrial and commercial valuations, but her salary in 2016 as director was $107,099, the monitor wrote. The promotion “flagrantly violated” employment guidelines the assessor should have followed even though it was a management post with leeway in hiring, Feibus wrote in August 2016. For one thing, she noted, the younger Berrios didn’t have the minimum five years of management experience outlined in a job description updated only months earlier. Berrios said in an interview that Vanessa Berrios was just short of five years as a manager at the time of her promotion and that she built up that experience in the same department where she was promoted. “She’s doing a fabulous job for us,” he said. Overall movement in the assessor’s case is tracked every couple of months in Judge Sidney Schenkier’s federal courtroom, where the sounds of street traffic and sirens filter up from 18 floors below. In a post-Thanksgiving status hearing last month, Berrios and his team, Feibus and an aide, and Shakman attorney Brian Hays marked a minor milestone when the assessor’s office confirmed that job applications had gone online earlier in November. A monitor report from August 2015 had said that the office’s paper application process “encourages confusion and distrust” in hiring. For a time, Berrios attempted to set up his own electronic application process, but amid mounting pressure from Schenkier, Feibus and Hays, he worked out a way to join the online system used by other county offices. As it happens, however, Berrios is starting to use the online system just as countywide budget cuts are forcing him to lay off workers, diminishing the immediate need for electronic applications. “The Catch-22 we’re in is, we’re not going to be using it anytime soon because we’re not going to be hiring,” said Tom Nowinski, a former assistant state’s attorney with Shakman experience whom Berrios hired this year to work solely on helping to bring the assessor’s office into compliance. The parties also are moving forward on employee evaluations, updated job descriptions and other policies and procedures, records show. Berrios has increased the number of people in human resources, although he’s still under pressure to improve the department, and he’s put in place an employment plan that gives a better road map for the office. “We’ve made significant progress,” Berrios said. Berrios said the delay in bringing his office into compliance can be blamed on the changeover in monitors — as well as their use of five different assistants along the way. The turnover, he said, slowed progress and drove up costs in ways he can’t control. “I can only move as fast as they allow me to move,” Berrios said. Ellis, who now works as an attorney for the federal government, said recent reports from the court monitor describe the same lack of commitment she saw in the assessor and his team during her time as director of compliance. “It doesn’t look like that has changed,” she said.